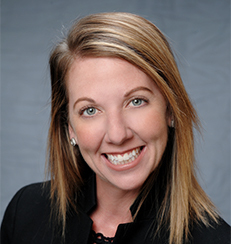 Sarah Warren joined TradeMark Properties’ leasing team in 2018. Sarah’s focus is on office, retail, flex, and warehouse leasing services for landlords and businesses across the Triangle. With more than a decade of commercial real estate management and leasing experience, Sarah’s capabilities and knowledge provides clients with exceptional customer service. Prior to joining TradeMark Properties, Sarah was a property manager and broker for 11 years with The Dilweg Companies, managing the operations of 350,000 square feet of Class A office, mixed-use, and flex/industrial buildings. Responsibilities included day-to-day management of properties, preparation of annual budgets, and financial reporting. She was also responsible for leasing and tenant retention. She holds a North Carolina Real Estate Broker’s license and attended NC State University. Sarah also enjoys playing tennis, traveling, and spending time with family and friends.